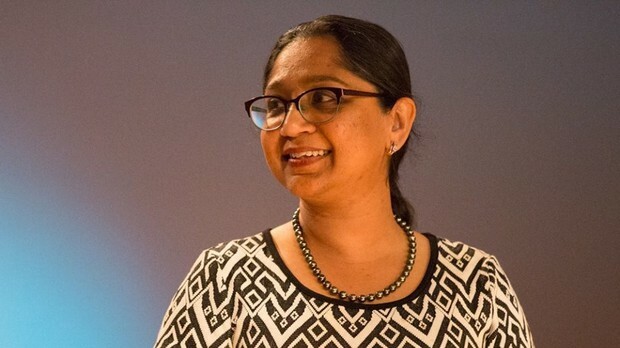 Subashini Ganesan is an artist, arts administrator, and the Creative Laureate of Portland. As an artist Ganesan founded Natya Leela Academy where she choreographs and performs potent and universally relevant expressions in Bharathatyam. As the Founder and Executive Director of New Expressive Works she stewards a vibrant performing arts venue in Portland, that celebrates and supports multi-cultural independent performing artists to teach, be in residency, and create bold new works. Ganesan serves as a Community Advisory committee member of the Interstate Firehouse Cultural Center's (IFCC) and is part of the Teacher Advisory Council of the Portland Art Museum. As the Creative Laureate of Portland, Ganesan serves as the official ambassador for the broader creative community in Portland.